Gene Simmons finally made an honest woman (I really hate that expression I&apos;m not sure why I&apos;m using it) out of Shannon Tweed by marrying her Saturday after being together for 28 years and having 2 kids together. The couple married in front of 400 family and friends (and cameras for their reality show Gene Simmons Family Jewels) at the Beverly Hills Hotel. "It was a great evening of music and fun," Simmons told PEOPLE about last Saturday&apos;s ceremony. "I look at my wedding band and think, &apos;What was I afraid of all this time?&apos; "
What do you think of her dress? 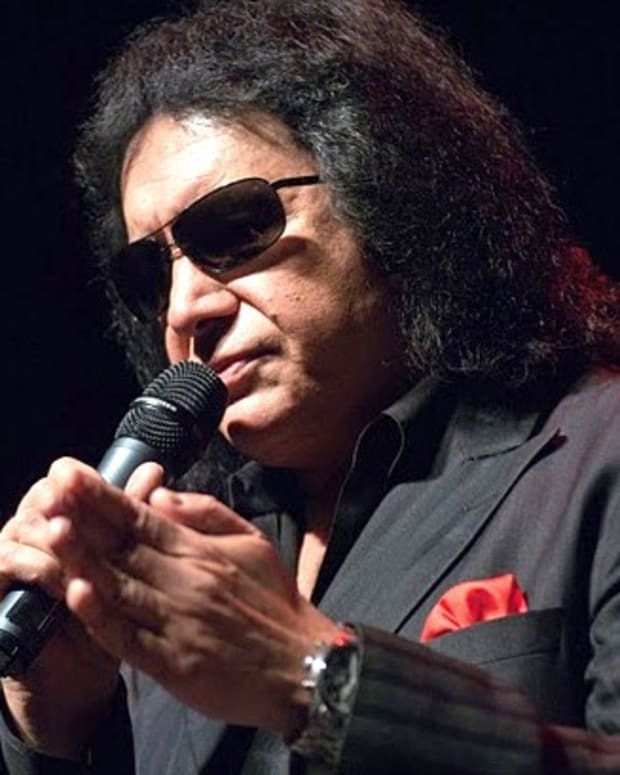 Gene Simmons on Shannon Tweed TV Walkout: "Hate Seeing Her Like This"